Ultra-discreet, indoor fixed mini dome for recessed mounting in ceiling or wall. Fixed lens. Multiple, individually configurable H.264, H.265 and Motion JPEG streams; max 3 MP at 30 fps with WDR. Axis Zipstream technology for reduced bandwidth and storage needs. Memory card slot for optional local video storage. 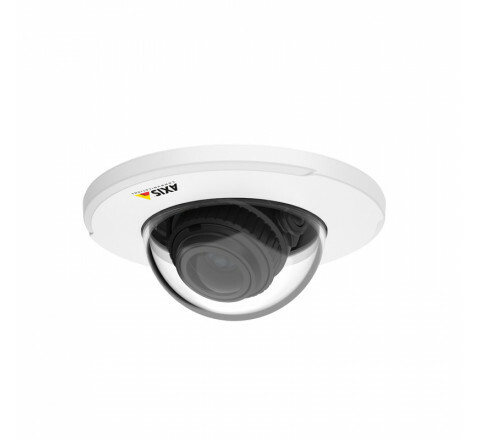 Video motion detection and active tampering alarm. Power over Ethernet. Midspan not included.